The recent surge in popularity of gluten-free baking might be dismissed by some as mere fad, but for those whose health and wellbeing truly necessitate a diet free from or with significantly reduced gluten intake it has been something of a godsend. In addition to many cafés and coffee shops now stocking gluten-free offerings as standard, supermarkets are now stocking a greater range of gluten-free flours – great news for keen bakers. 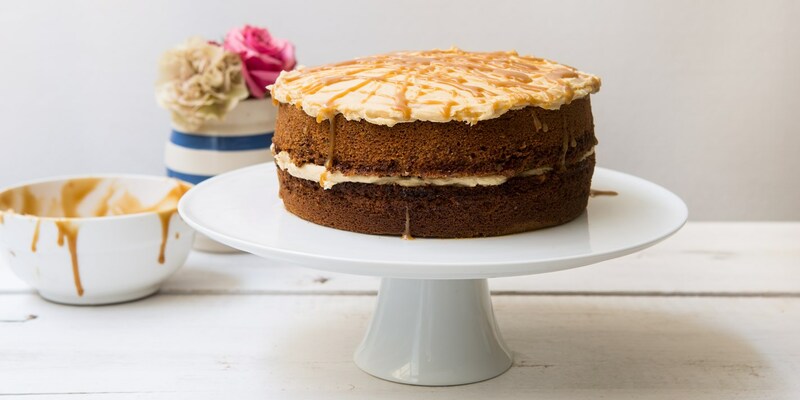 With the right balance of ingredients, a good gluten-free cake should be difficult to distinguish from those made with traditional flour (yes, gone are the days of dry, dense bricks) and make a fantastic, inclusive sweet treat to bring to a party. This collection of gluten-free cake recipes comes from seasoned bakers who know their way around a bag of rice flour. Victoria Glass shares some wonderful centrepieces, including an immense Gluten-free chocolate fudge cake recipe, Vegan banana bread made with rice and coconut flours and a stunning four level Vanilla cake recipe. Polenta, made from ground cornmeal, makes the perfect moist substitute for flour in Kate Doran's Nectarine upside-down cake and John Torode's Sticky orange polenta cake, or take a few tips from Howard Middleton – one of the first contestants to bring gluten-free baking to the Bake Off tent – and try his squidgy Gluten-free carrot cake or the totally tropical Golden hummingbird cake.